Global demand for crude oil will grow by 1 million barrels per day in 2015, the International Energy Agency (IEA) has said, adding that the prospects for a recovery in the oil price remain uncertain. The total crude demand will stand at 93.5 million barrels per day, the IEA said in its monthly report Friday. Oil prices have fallen on the news with Brent futures for April losing 1.82 percent trading at $56.04 at 19:00 MSK and WTI diving 4 percent to $45.17. The oil price has more than halved since June 2014. Global oil production in February rose in annual terms by 1.3 million barrels per day to 94 million with an increase of oil production outside OPEC of 1.4 million barrels per day. Oil production within OPEC declined in February by 90 thousand barrels per day to 30.22 million barrels due to reduced production in Iraq and Libya. The decrease has partly been offset by increased supplies from Saudi Arabia, Iran and Angola. The IEA predicts the demand for OPEC oil will be 30.3 million barrels per day in the second half of 2015. The sharp reduction in the number of drilling rigs used in US fields to reduce production volumes was a key factor in stimulating the recovery in oil prices from levels below $50 to around $60 per barrel last week.The IEA said the recovery in oil prices remains uncertain, as production in the United States has started growing again, as well as stocks of oil in storage tanks. “Behind the façade of stability, the rebalancing triggered by the price collapse has yet to run its course, and it might be overly optimistic to expect it to proceed smoothly. 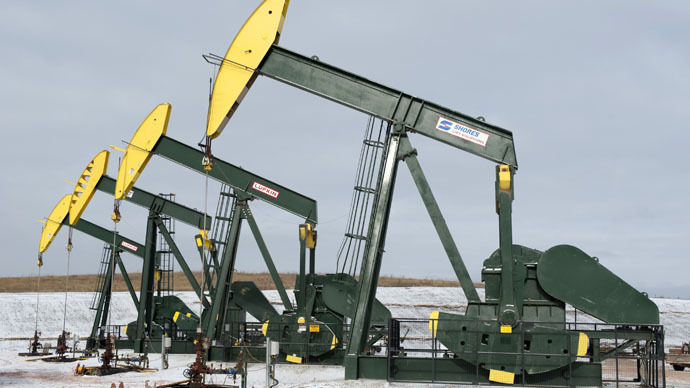 Steep drops in the US rig count have been a key driver of the price rebound,”the report says. However, the US may soon run out of spare storage capacity, putting additional pressure on oil prices.